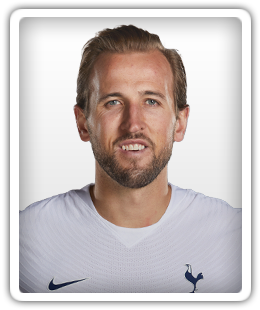 Harry Kane will be the subject of talks between Real Madrid and Tottenham Hotspur in London this week, according to a report. Ahead of Tottenham Hotspur's Premier League meeting with Brighton & Hove Albion, Sports Mole looks at how the Lilywhites could line up. Sports Mole rounds up Tottenham Hotspur's latest injury and suspension news ahead of Tuesday's Premier League clash with Brighton & Hove Albion. Sports Mole previews Saturday's Premier League showdown between Manchester City and Tottenham Hotspur, which comes just three days after an epic Champions League contest. The England captain suffered an ankle injury against Manchester City last week. Sports Mole looks at how Tottenham Hotspur could line up for Saturday's Premier League showdown with title-chasing Manchester City at the Etihad Stadium. Sports Mole rounds up Tottenham Hotspur's latest injury and suspension news ahead of Saturday's showdown with Manchester City, just three days after beating them in Europe. Sports Mole selects its star-studded Champions League team of the week from the quarter-final second legs, including Lionel Messi, Son Heung-min and Raheem Sterling. Tottenham Hotspur book their spot in the semi-finals of the Champions League despite losing 4-3 to Manchester City in the second leg of their quarter-final. Ahead of the Champions League quarter-final second leg between Tottenham Hotspur and Manchester City, Sports Mole looks at how Spurs could line up. United completed the treble at the Nou Camp by beating Bayern Munich 20 years ago. Sports Mole rounds up Tottenham Hotspur's latest injury and suspension news ahead of the second leg of the Champions League quarter-final with Manchester City. Kane has had five ankle injuries since 2016. The Three Lions skipper has suffered a "significant lateral ligament" injury in his left ankle. Tottenham manager Mauricio Pochettino fears Harry Kane might sit out the remaining five weeks. The striker could be out for the rest of the season. The England captain has suffered another ankle setback. The England captain picked up an ankle injury in the Champions League win against Manchester City. Sports Mole looks at how Tottenham Hotspur could line up for Saturday's home Premier League match against Huddersfield Town. Sports Mole provides team news, predicted lineups and a full preview of Saturday's Premier League clash between Tottenham Hotspur and Huddersfield Town. Sports Mole rounds up Tottenham Hotspur's latest injury and suspension news ahead of Saturday's Premier League fixture with Huddersfield Town. The Spurs striker suffered a fifth ankle injury in two-and-a-half years. The England captain was forced off in the Champions League quarter-final win against Manchester City. Kane's ankle worry a concern for Spurs as the visitors' quadruple bid gets a knock. Kane has been plagued with ankle injuries in recent years. A late goal from Son Heung-min earns Tottenham Hotspur a 1-0 win over Manchester City in the first leg of their Champions League quarter-final on Tuesday night. Relive Sports Mole's live coverage as Tottenham Hotspur edge out Manchester City by a 1-0 scoreline in the first leg of their Champions League quarter-final. Sports Mole selects a combined XI ahead of Tuesday's Champions League clash between Tottenham Hotspur and Manchester City. Sports Mole looks at how Tottenham Hotspur could line up in Tuesday night's Champions League clash with Manchester City. Sports Mole provides the team news, predicted lineups and a full preview of Tottenham Hotspur's Champions League clash with Manchester City in London. Tottenham Hotspur are reportedly one of five clubs who are interested in signing Fulham forward Aleksandar Mitrovic. He became the first player to score a competitive goal at the Tottenham Hotspur Stadium. Tottenham Hotspur striker Harry Kane is Real Madrid's back-up option if they fail to sign Kylian Mbappe from Paris Saint-Germain, according to a report. A report claims that Tottenham Hotspur are not currently focusing on bringing in a replacement for Hugo Lloris as they instead want to strengthen other areas.